Photos from our initial expedition -- to use the photos in your publication, please email us. Hover over an image for details. 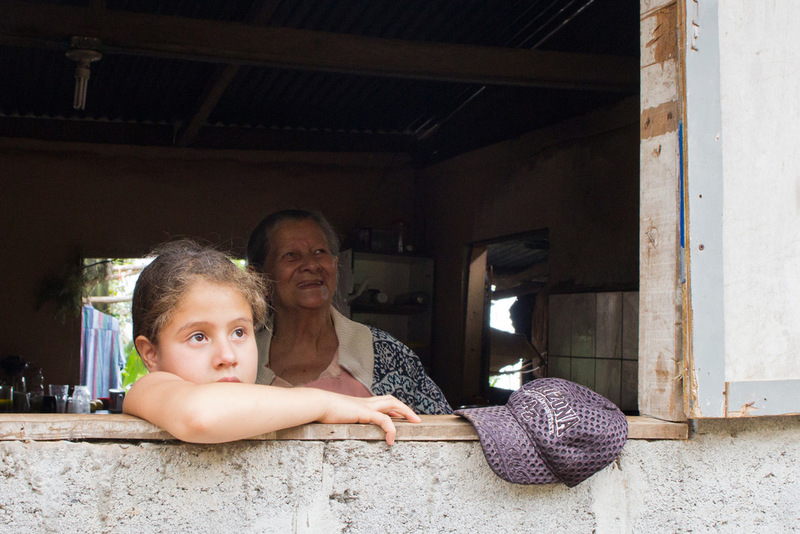 A little boy in the village of Norteña waits expectantly for his siblings to come home from the neighbors. Norteña, located about two hours from the Caribbean coast, is a primary trading center for the Ngäbe-Buglé. Didimo, a former rodeo star, has over 50 animals that he either rescues when they are harmed in the wild, or domesticates. 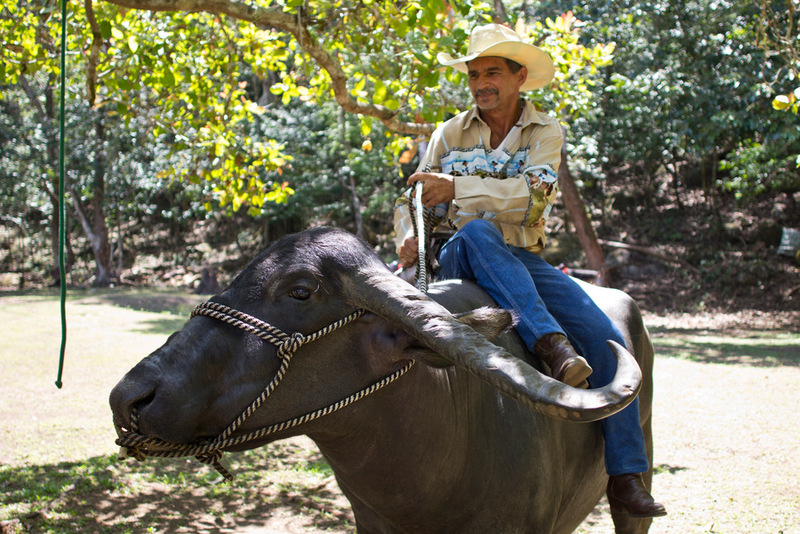 on his farm near Caldera, Panama. 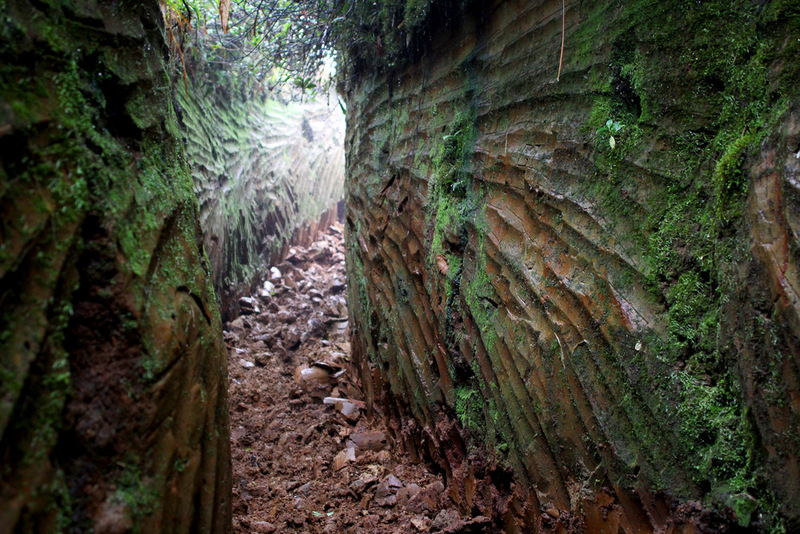 One of many ancient petroglyphs in Chiriqui, Panama. 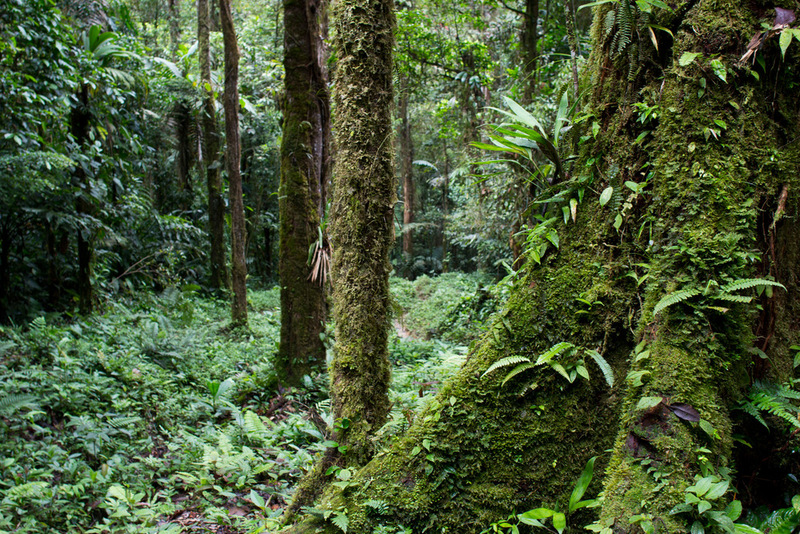 The sites are mostly unmarked, unprotected and unstudied -- the Ngäbe keep many of the locations a secret to protect them. 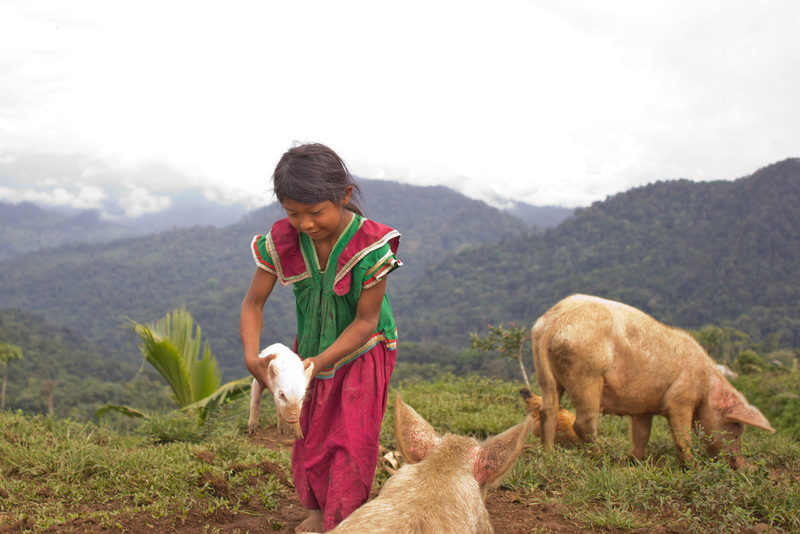 Axi looks forward to the moment each day that he gets to come out of the fields and play with his nieces. He worries that he will have to sell his farm to provide them with the life they deserve, and an education in English. There is still a large swath of the Caribbean coast unreachable by roads. While life here remains largely untouched by modernization, most of the land has already been purchased from under the villagers by foreign developers, who are working to pass legislation to build a road. The Cordillera de Talamanca mountain range is considered one of the ten most irreplaceable ecosystems on earth because of the large density of flora and fauna that could not survive anywhere else. It remains largely unexplored. On the Pacific side of the continental divide, it is often times impossible to walk through the forest anymore because of the private property restrictions of the hydroelectric power companies. Walking on the roads is hot in the day and dangerous at night. Small villages sit on mountaintops and are nestled into valleys -- this one was about a two day hike in either direction to a town with electricity. Axi, like many rural farmers, still processes sugarcane on a horse-run mill. His family farm has flourished this way for over 50 years, but in the last 5, he's struggled to make ends meet. Axi tells us that the cats used to be everywhere, but now he sees them far less. He found this one dead in the forest, and wanted to save the beautiful creature. Children view us skeptically as their father instructs us that the path changed recently due to rainy season flooding. 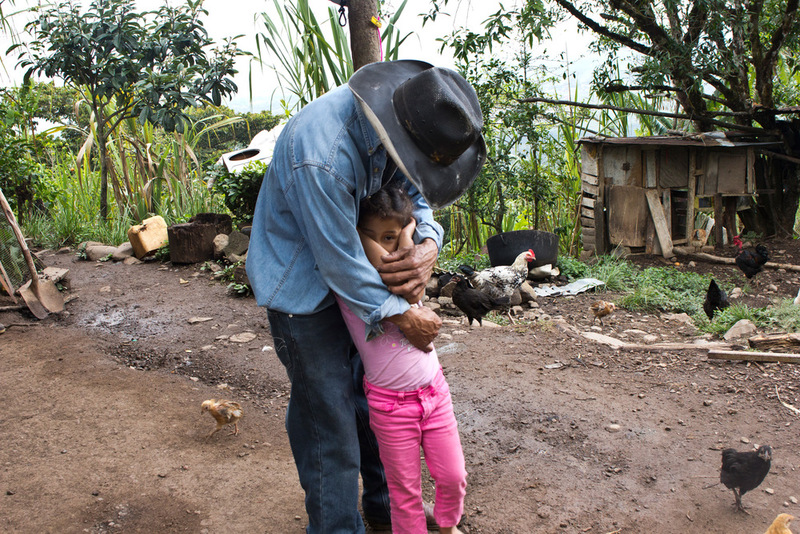 It was the first time the littlest ones had seen foreigners in their village, Norteña. 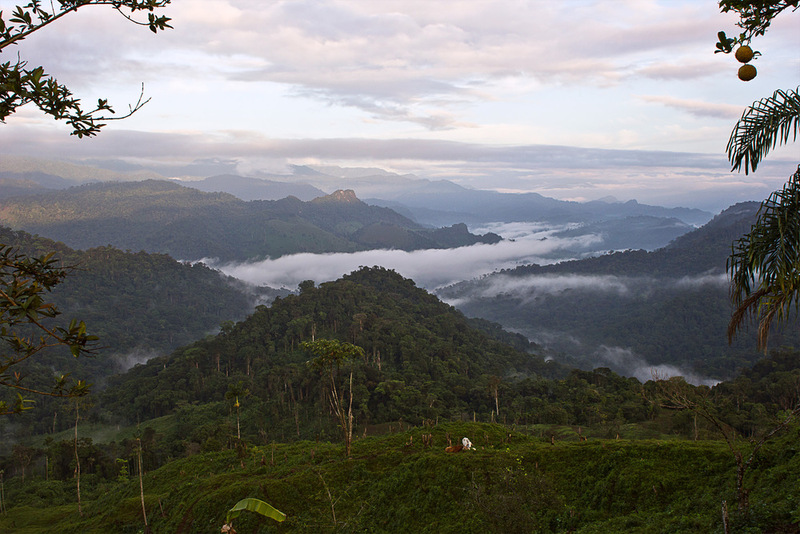 The view from a family home in Alto Romero, Panama. At least a 10 hour hike in either direction to a town with electricity, the people here say they want for nothing -- they have enough to eat and a large community of support. During rainy seasons, Rio Changuinola must be crossed on makeshift cables tied to trees. We crossed this river close to a dozen times, three of which required use of such a bridge. A farmhouse located a 4-hour hike from the thriving, rapidly modernizing town of Boquete. Axi, the head of the household, grew up in the one bedroom home, and now lives here with his mother, two brothers, sister, nephew and two nieces. All content is copyright and owned by Emily Kinskey & Anica Wu unless otherwise stated. You may not take images or content from this site without written permission.